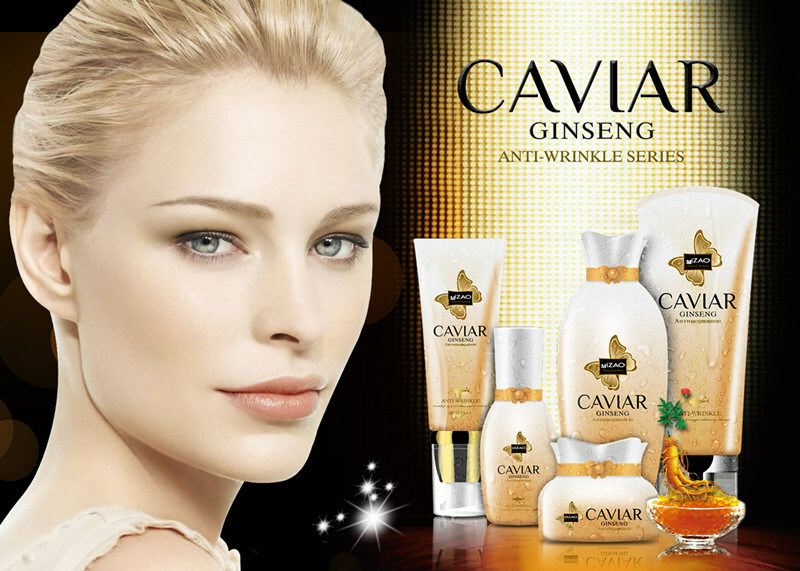 The essence is extracted from top Russia caviar and wild ginseng extract .It visibly diminishes and prevents the appearance of dark circles.And the golden caviar extract lifts up and firms skin around eyes.In addition ,it reduces the signs of expression lines and prevents the future appearance .The microcirculation is promoted and the sign of puffiness under the eye is eased. DIRECTIONS:Apply appropriate amount and gently massage around your eyes after cleasing day and night ,and gently pat with fingertips until absorbed. INGREDIENTS:Water ,Chinese Ash Bark extract ,Propanediol ,Haluronic Acid ,Vitamin B3, Alpha-tocopheryl acetate ,Acrylate copolymer, Purslane , Yeast extract, Coenzyme Q10,Capsaicin synthetic,Diazolidinyol urea ,Iodopropynyl butylcarbamate,Collagen , Ginseng extract ,Deep sea caviar extract,Fragance.